Protecting staff and pupils should be the number one priority. Monitor the moments of staff and pupils. Using CCTV to deter undesirables from entering school grounds. We have been involved with the installation of many systems in schools, colleges and universities. Our team can you give the best advice on which types of cameras should be used in which situation. It is a sad reality of modern life that schools and colleges are targeted for vandalism and break-ins on a regular basis. Whether it’s current students causing the damage, former students holding on to a grudge or just thugs who never need an excuse, the fact is that it happens and it makes sense to take preventative measures. Equipping your school with one of our state-of-the-art alarm systems is a good move. However, installing a CCTV system is the next level of security, which can carry benefits before and after crimes take place. Firstly, once a thief knows that your premises always has a watchful eye being cast over it – in the form of CCTV – they are unlikely to follow through with their plans. Alarms, while highly effective, merely provide a way of alerting people to the presence of intruders. This is not a cast-iron way of preventing an experienced, fast-paced burglar from making their way to the IT room in the school and making off with several thousand pounds worth of iPads and computer software. One of our quality CCTV systems, on the other hand, increases the school’s chances of identifying the perpetrator, securing a conviction and scaring off any more unsavoury characters who may have been planning an imminent hit on the school. CCTV also acts as the school’s last line of defence during the day, when the alarm is not activated because classes are in session. School bike sheds are very common targets for thieves, and there is nothing that an alarm system can really do to halt them in their criminal endeavours. However, a bike shed that is positioned close to a fully functioning security camera is far less likely to be targeted. The same, to a lesser extent, goes for the staff car park. Obviously the theft of a car is far more valuable than a bike, but bikes have been consistently targeted because of how relatively easy it is to separate them from a lock. 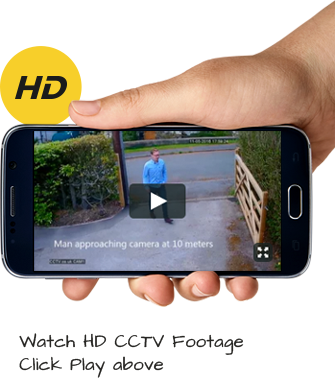 The ability to look back over footage is of huge benefit to school principals and their department heads, while real-time footage of your CCTV system can also be viewed remotely, via laptop or tablet. In summary, CCTV gives the school an extra line of defence as well as priceless peace of mind. It makes complete sense to install one of our state-of-the-art systems. Contact us today for more information. 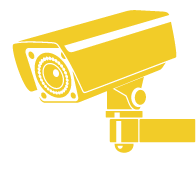 Our installation team are highly experienced and specialists in CCTV for schools. Questions? You can call us Free on 0800 211 8310 or email sales@cctv.co.uk with any questions you may have about CCTV in your school – we will be happy to help.